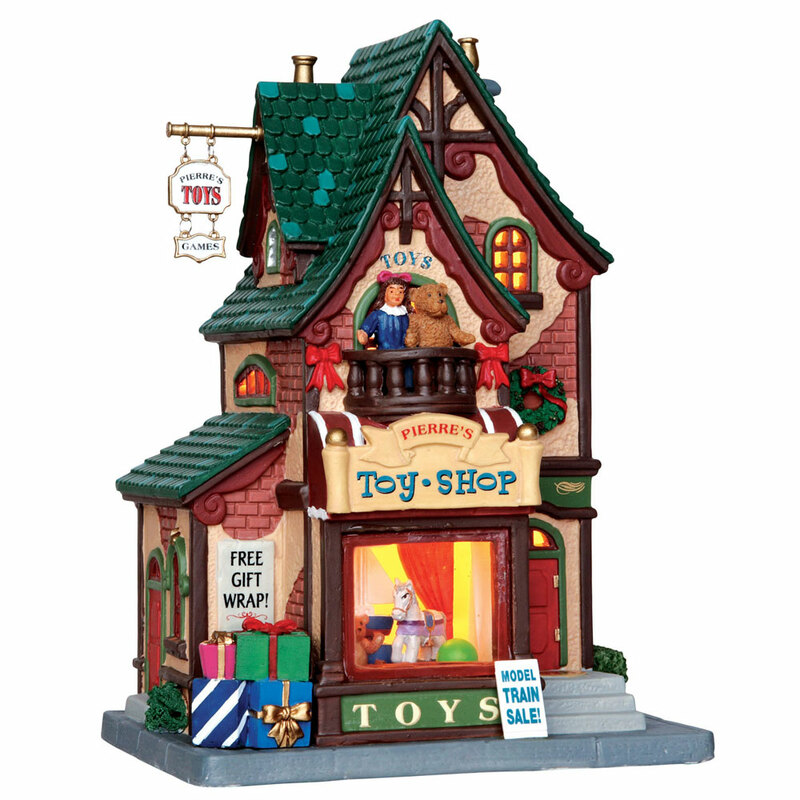 Lemax Pierre's Toy Shop Lighted Building depicts an olde fashioned traditional toy store at Christmas time. Internally illuminated Lemax village miniature table piece with viewable window display, suitable for placement within a Christmas themed Lemax display. 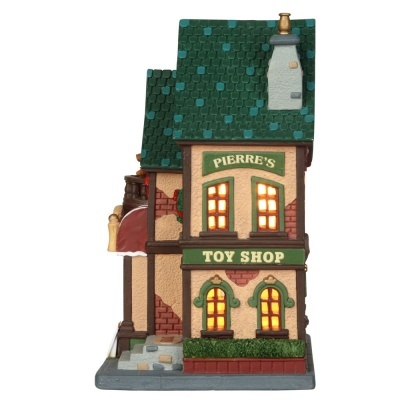 Pierre's Toy Shop was a recent addition to the Lemax Caddington Village miniatures collection in 2014. 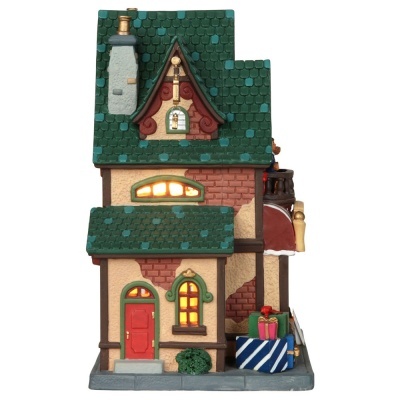 Pierre's Top Shop is a single porcelain hand painted miniature building on a single snowed base.